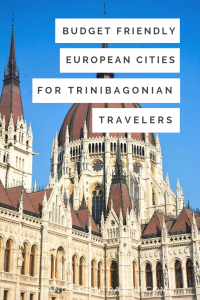 For many Trinbagonians, European travel seems like an expensive undertaking. Yes, flights are more costly than those to North America. And, then there’s the intimidating exchange rate for currencies like the euro and the pound. Naturally, it seems more affordable to plan a trip to the United States or Canada. However, my recent travels have taught me that there are several European cities where the TT dollar does surprisingly. In fact, there are several cities where the cost of living is lower, or commensurate to what we’re accustomed to in T&T. That being said, even after you factor in airfare, visiting one of these cities will either balance out or be cheaper, than what you would spend on a North American trip! That being said, here are 5 affordable European cities for Trinbagonian travellers. 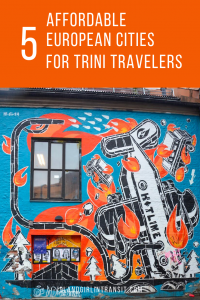 As if the gorgeous architecture, well preserved history and surprisingly diverse and delicious cuisine, wasn’t enough, the favorable exchange rate of the TT dollar to the koruna, and the very low cost of living, makes Prague an attractive option for Trinbagonian travelers. In this city, you can easily get a delicious meal at a nice restaurant for under TT $100. But, if you’re really trying to save, there are decent options for as little as TT $12. Many of Prague’s most popular attractions are free, such as the Charles Bridge, and the Astrological Clock. 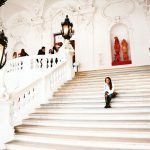 Others are free to a point, with reasonable fees to gain access to certain areas, such as Prague Castle and Petrin Hill. 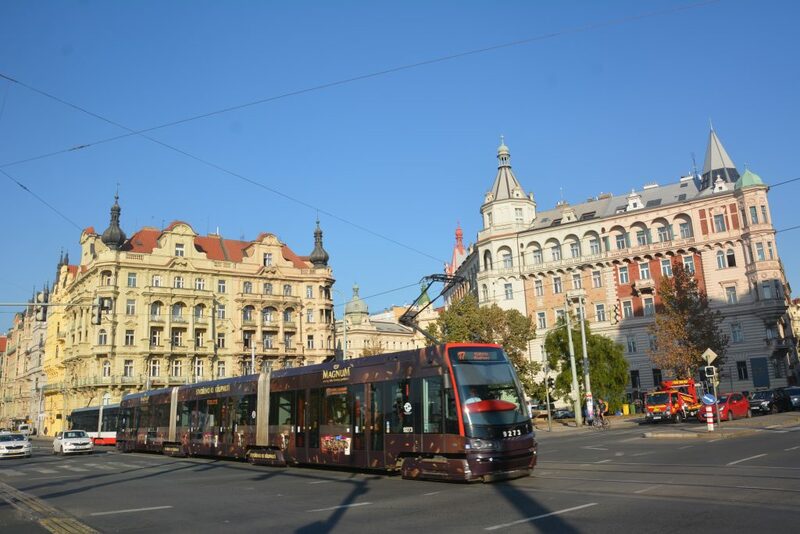 Additionally, while public transportation is quite cheap, the city is very walkable and you’ll hardly ever feel inclined to use the bus, tram or metro. 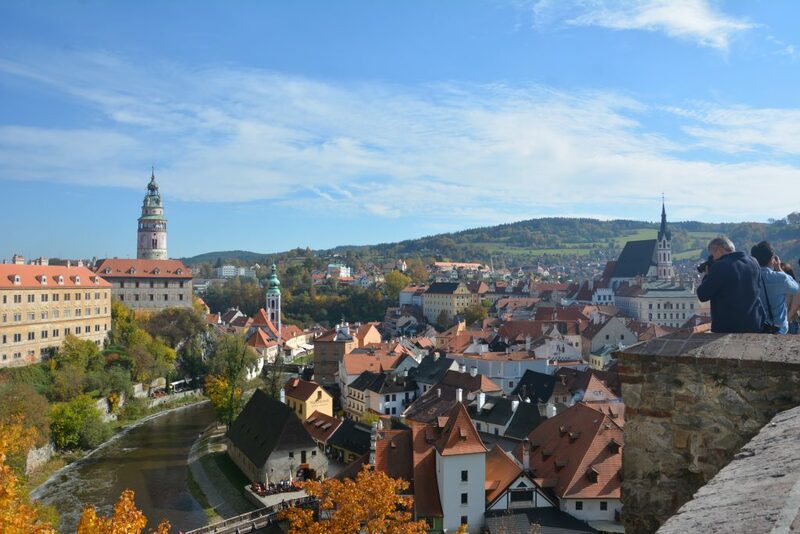 Just a 3 hour drive away from Prague is the fairytale city of Český Krumlov. The budget friendly historical site features a sprawling castle, a bell tower that delivers an impressive 360 degree view; beautiful baroque buildings that line narrow cobblestone streets; and a river that winds its way through this well-preserve real estate, making it appear even more idyllic than it already is! A popular attraction that welcomes thousands of tourists on a daily basis, Český Krumlov is still a budget friendly destination. It’s even cheaper than Prague! Yep, from accommodation to meals to attractions you can do even more with your TT dollar in this Bohemian city than you can in Prague. A very nice meal at a very nice restaurant will run you about TT $40, while the full tour of the castle will cost you a reasonable TT $90. Budapest is a vibrant city with many diversions and you can afford to indulge in quite a few of them with the TT dollar. 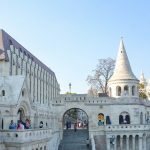 Like any other destination, there are high end experiences that may be out of your reach, but all of the popular attractions on both the Buda and Pest sides of the Danube are well within reach. 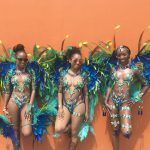 From soaking up city views in a jacuzzi atop the Rudas Baths (TT $50) or splurging on a lunch river cruise (TT $217), there is a lot to experience without overextending yourself. 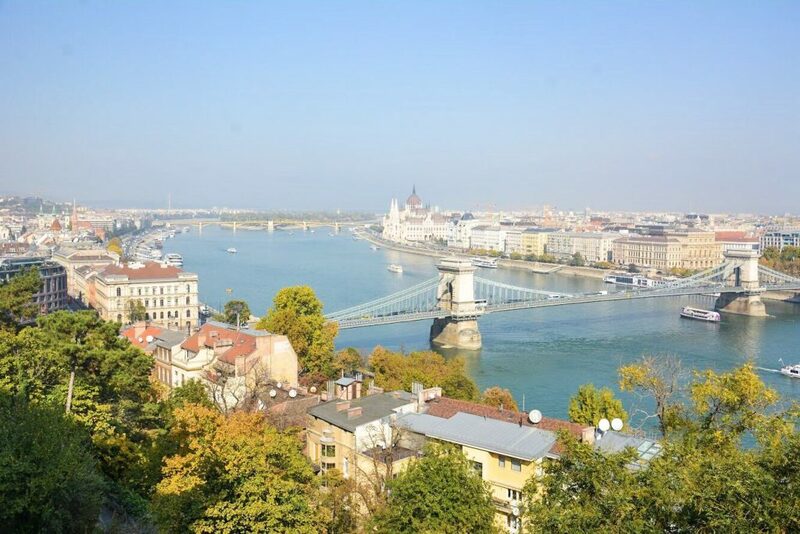 Budapest is another walkable city, so even though public transportation is cheap, it isn’t a necessity. Also, despite how low entry fees are, many of the attractions are free up to a certain point. You could easily enjoy an entire day of sightseeing without purchasing a single ticket. Unlike Prague, Český Krumlov and Budapest, Nuremberg isn’t exactly “dirt cheap”. In this case, it isn’t a matter of dealing with a favorable exchange rate. Instead, Nuremberg is a city where you get more value for your TT dollar than you would at home. 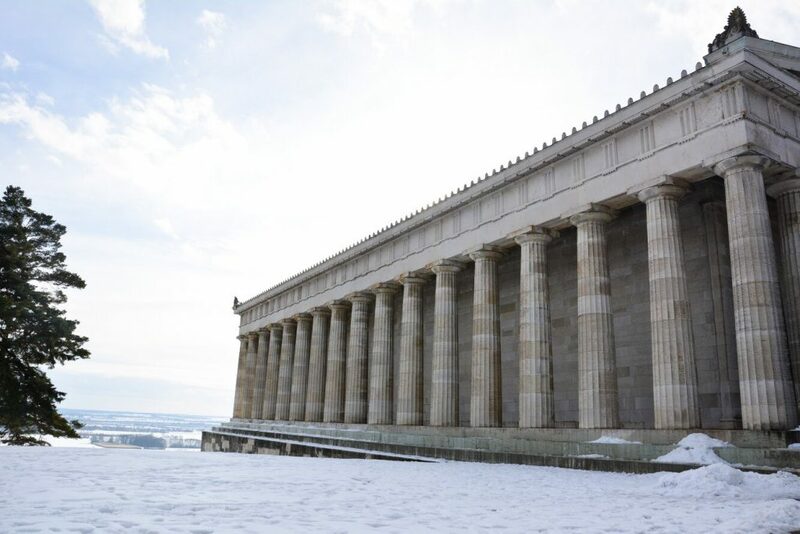 With many free attractions, such as Nuremberg Palace and the Walhalla Monument in nearby Regensburg; a majority of your funds will be spent on accommodation and meals. Many Airbnb rates are even lower than you’ll find in Tobago and you can easily enjoy nice meals at chic restaurants for less than you would pay for a similar experience in either Trinidad or Tobago. It should be noted that public transportation isn’t incredibly cheap so aim to stay as close to the city center as possible. On the up side, once you ride the tram into town you can easily walk around and not worry about paying another fare until it’s time to exit the city at the end of the day. Before you laugh me off the internet because it’s a well-known fact that Norway has one of the highest costs of living in the world, allow me to explain. Yes, Norway is expensive – if you decide to live there. 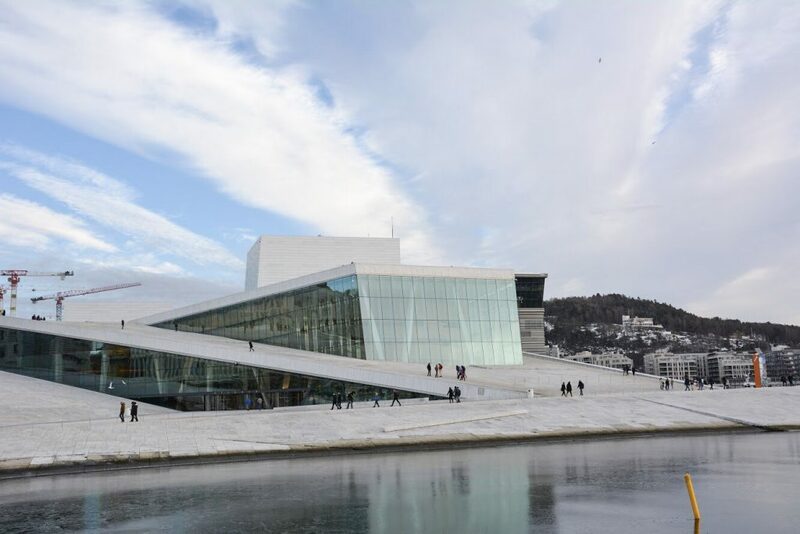 If you’re just visiting however, it qualifies as an affordable European city because the Norwegian krone is almost equal in value to the TT dollar. Compared to prices at home, it’s quite reasonable to pay TT $180 for a nice meal at a restaurant that’s trendier than any you’ll find at home. And who can complain about paying TT $89 for a bottle of wine? Admittedly, their public transportation system isn’t the cheapest but it is efficient and once you’re in the city center you can walk to most places. Like many other European cities, there are also many free attractions so you can easily avoid entry fees. The only expense you might want to incur is the sauna experience, which is available for as low as TT $150. Is vacationing in Europe “cheap”? No. But, if you’re working with TT currency, it doesn’t have to be prohibitively expensive. There are several affordable European cities where you can stay at nice Airbnb’s, dine at cute restaurants and visit many of the popular sites without breaking the bank. Yes, the flight will cost a wee bit more than if you stayed on this side of the pond. 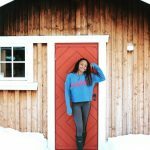 But in some instances, the overall price tag may work out to be less than if you were to visit the United States or Canada. 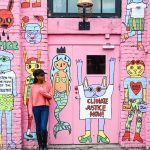 So, before you go writing off this continent as out-of-reach, do your research, compare the options and you’ll be surprised to discover what you can afford to do in the affordable European cities! 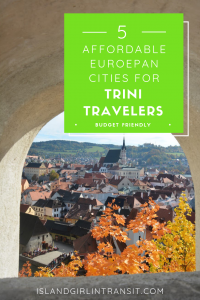 Are you a Trini traveler who’s found other affordable destination in Europe? Feel free to share in the comments!